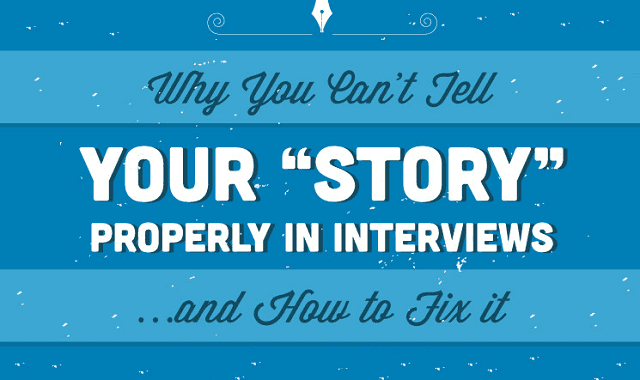 Why you Can't Tell Your Story Properly in Interviews and How to Fix it #infographic ~ Visualistan '+g+"
You're interviewing with an investment bank, private equity firm, or hedge fund, and you need a strategy to prove you're the perfect fit and win the offer within the first 5 minutes of interview. You can do this by telling your own "story" - what you say in response to "walk me through your resume" or "Tell me about yourself" - in a dynamic way. It should work much like the plot of a great movie: start with an attention-grabbing intro, skip the boring parts, and make sure that you transition in logical, though sometimes surprising, ways until you deliver the "payoff" for the audience - your interviewer.